The Birdland double bed is an exclusive product belonging to Mollyflex’s “Upholstered double bed” line, featuring an original headboard consisting of extra-soft removable cushions. The Birdland bed comes in solid colour or in one of the seven different and special versions placed at disposal by Noctis. The headboard structure and the back of each cushion are made in Rimini fabric, while the front part of the pillows is made using different combinations of Riccione, Maratea, Cervia, Brando and Bellaria fabrics. 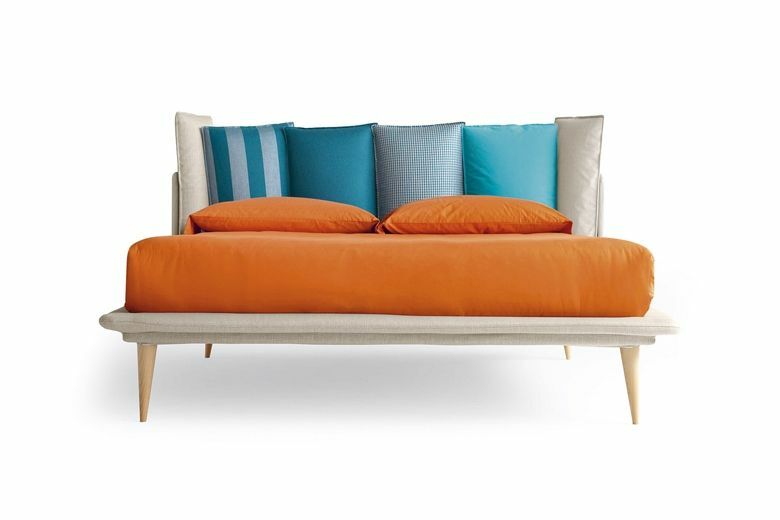 Thanks to these fabric and colour combinations, you can give free rein to your imagination by changing the cushions and their position or turning them inside out, thereby making your Birdland bed everyday different.